Our dentists in London can help you with several dental procedures, such as dental braces, smile makeovers, crowns, veneers, root canals, fillings and more. Dr Uchenna Okoye has been featured in various press and media publications, including the “10 years younger” programme on Channel 4. We offer only Private dentistry. Channel 4's makeover show, 10 Years Younger has a refreshed line up, including our very own Dr. Uchenna Okoye as the resident cosmetic dentist. Scroll though before and after examples of how our smile treatments have changed lives. 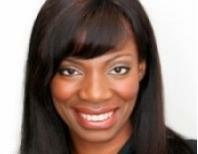 Dr Uchenna is on hand to answer any questions you may have on building a beautiful smile. My back usually aches a bit, and after I took Viagra for an erection after that I'm afraid of taking this drug. Now I take Cialis. It works even more efficiently, so I'm happy, and my girl feels happy too. There are few children out there who will routinely brush their teeth without some gentle encouragement. Or even with repeated nagging for that matter. Encouraging children to brush twice a day can be a challenge for many parents and guardians, proven by the recent news that 1 in 8 of all kiddos aged 3 suffer from tooth decay. It’s a serious problem but it’s not unfixable. 1. Get a fun toothbrush – I bought my daughter an electric toothbrush covered in colourful cartoon characters. This helps to make cleaning my daughter’s teeth fun and exciting. 2. Warning – give your child plenty of prior-warning when it’s time to brush their teeth; helping to know what is expected of them. Even brush your own with them to encourage them to join you. Make funny noises when you do so they think it’s something enjoyable! 3. Flavourful toothpaste – of course, budgets can be tight, but no matter if you’re a pro or opposer of fluoride or a connoisseur of natural/organic, one thing is the main priority with kids’ toothpaste – taste. If they enjoy the taste, it’ll help them to enjoy brushing. 4. Create a rewards chart – kids love the feeling that they’ve achieved something. So, to help motivate them, create a rewards system for those who brush. Give them star stickers to pop on the chart when they brush and give rewards for those who consistently stay on track… just no sweeties! 5. Dental dancing – there are hundreds of educational apps to download on your phone or tablet that can make brushing a much more exciting time. Brushing games and cartoons can be easily downloaded, allowing dental care to be integrated into other aspects of their life. If you have any other dental related questions, don’t be afraid to ask – I’m always available to answer! Tooth be told, there is a lot of misinformation and misunderstanding surrounding our teeth. Whether it be what stands as proper dental care, or what reasons we should seek dental professionals out for, there are things many people believe that have dentists concerned. 1. “Teeth whitening is harmful” – there’s no reason to lose colour when you think of teeth whitening services as there’s nothing to fret about. All teeth whitening treatments provided by your dentist have been assessed and many professionals can attest to them. 2. “You can’t go to the dentist while pregnant” – not only is visiting your dentist for a routine check-up safe, it’s vital! Cleanings and simple procedures, like cavity fillings, can be taken care of before your baby is born. There’s absolutely nothing to worry about – your dentist can even help alleviate certain pregnancy symptoms. 3. “You don’t need to floss if you brush” – you can’t have one without the other. If you don’t floss between teeth regularly, you run the risk of increased gum disease, dental plaque build-up, and cavities. Brushing only cleans the visible parts of your teeth, so make sure to floss to tackle those behind-the-scenes areas. 4. “If my teeth don’t hurt, they’re healthy” – often, conditions such as tooth decay don’t exhibit explicit symptoms until it’s already quite advanced. Dental professionals can spy the earlier symptoms that, while they’re not causing you pain, can eventually develop into something rather painful. Ouch. Save your teeth and visit a dentist! 5. “Sugar-free soda is okay to drink” – although they may contain low to no levels of sugar, many fizzy drinks contain high-levels of citric, carbonic, or phosphoric acid that can erode the surface of teeth enamel. My mind is still waaaaaay over on xmas yet already easter eggs are in the shops and everywhere we are being bombarded with the commandment to love…has to involve buying presents or cards of course! Their colour reminds you more of daffodils than lilies and you finally decide it’s time to whiten them…good idea? Definitely! This is actually one of my favourite treatments, noone minds coming to see me for treatment that day. Whiter teeth have been shown to make you look younger, more attractive, more intelligent and above all boost confidence; what’s not to like! However, before you get it done, make sure the right person is doing it for you. It is a totally safe procedure, as long as it is carried out by dental professionals; in fact it is illegal if anyone else does it for you! How much experience have you had doing this treatment? There is no problem in asking questions, any good dentist will welcome them, at Londonsmiling we truly love talking teeth! So please send me any questions you might have!